Provided by Chameleon Power, the leader in visualization technologies for the building and decorating industries, the visualizer tool enables users to choose from a variety of Brampton Brick products in brick, stone, trim and roofing. Chameleon Power visualizers shorten the decision cycle and move the project down the path more efficiently, while enhancing customer satisfaction. 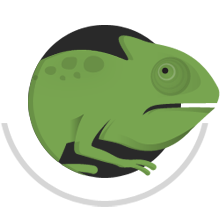 Websites utilizing Chameleon visualizers enjoy increased user time of more than 3X and sales increases of more than 75%. The Project Visualizer is integrated into Brampton Brick’s website, accessible via the homepage. Brampton Brick proudly manufactures superior clay brick, brick & stone veneer, and cultured stone, serving Canada & the United States, as well as complementary pavers and retaining walls under the Oaks brand name. With a manufacturing history dating back to the 1800’s, Brampton Brick has embraced advancements in technology to become a world-leader in brick and concrete stone manufacturing.